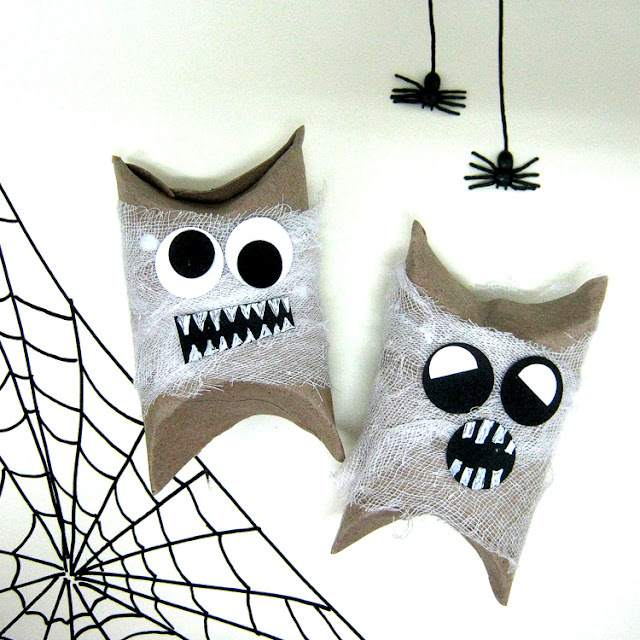 There's just enough time to make these spook-tacular easy and fun toilet paper rolls mini Trick or Treat boxes and fill them with yummy candies. All you need are a few TP rolls that instead of finding their way to the bin can be used to create last minute party favors. This is a great craft to do with your kids or in school. It only takes 5 minutes to create the box, wrap it with a white bandage you can get at the pharmacy and add a face. The face is the really fun part because you can create all kinds of spooky faces with as many eyes or teeth that you want!